Chris learned to clog in 1975 and was on clogging teams in middle school, high school and college. After a long break, she found she missed performing and joined the Apple Chill Cloggers in late 2004. Chris is an art teacher and likes to make jewelry and paint murals. 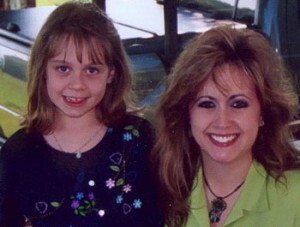 Here is a picture of Chris and her daughter Kendall who also likes to clog.